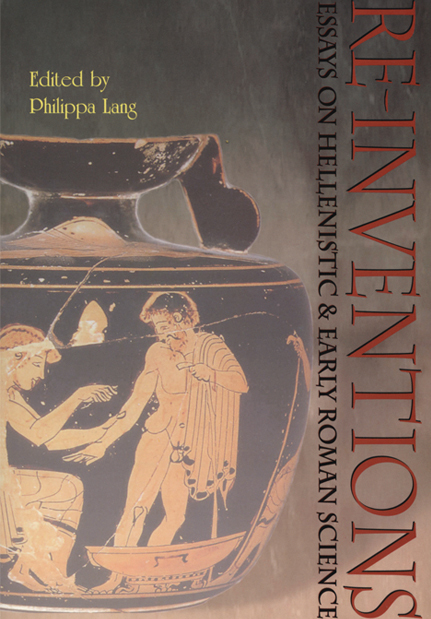 Science and philosophy in the Hellenistic and early Roman periods constitute a set of increasingly specialized but inter-dependant subjects and methods. Scholars defined themselves in relation to the growing shadows of their authorities and traditions. Disciplines that sought to offer knowledge of the kind we now label scientific were continually reinvented and redefined in terms of their relationships both with their past and with other disciplines of their present. Today, the modern category of science informs, and is informed by, the ways in which we understand its history. The re-inventions charted in this volume shed light on our present as well as on our past. Contributors: James Allen, Philippa Lang, G.E.R. Lloyd, Ian Mueller, Karin Tybjerg.